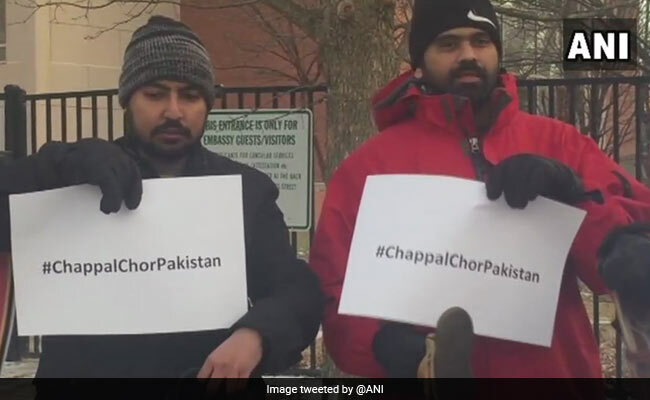 The protesters braved freezing cold to express their disgust over Pakistan's conduct. 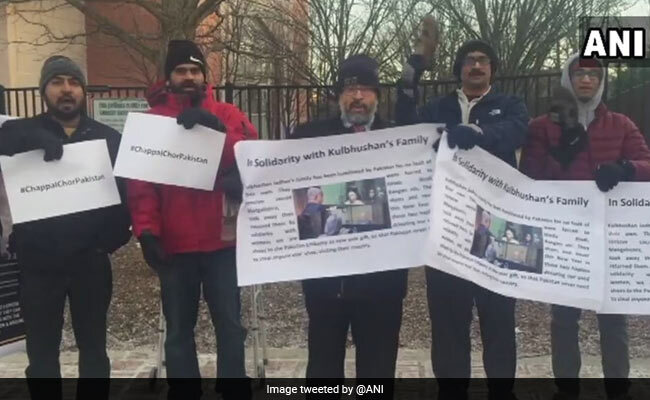 Washington: A number of Americans of Indian, Afghan and Baloch descent carrying placards with #ChappalChorPakistan scribbled in bold protested outside the Pakistani embassy in Washington over the mistreatment of Indian national Kulbhushan Jadhav's wife and mother when they visited Islamabad last month to meet him. 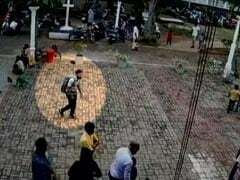 Mr Jadhav's wife Chetankul and mother Avanti were asked to remove theirmangalsutra, bindi, bangles and forced to change their clothes before their 40-minute meeting, across a glass screen and through intercom, began. Pakistan then "confiscated" Ms Chetankul's footwear claiming "there was something metallic in it". Pakistan's conduct with Mr Jadhav's wife and mother during their tightly-controlled interaction on December 25 is condemnable, said protesters. They also brought a carton full of shoes to be donated to the Pakistani embassy. The protesters held placards with #ChappalChorPakistan scribbled on them. 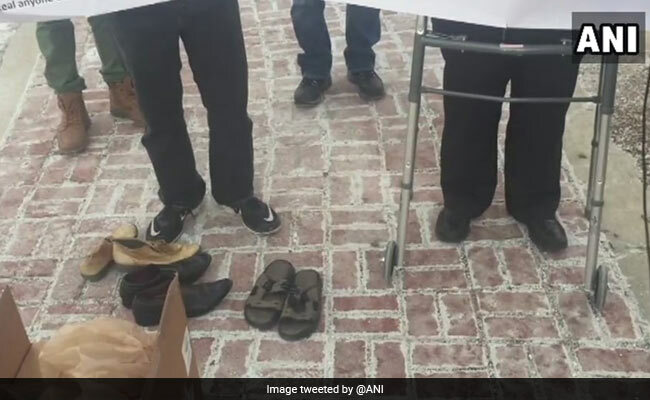 "The trial of Kulbhushan Jadhav violated all norms of international law as it was conducted by a military court," said Ahmar Mustikhan, founder of the American Friends of Balochistan, which organised the event "Chappal Chor Pakistan". "Pakistan has made a mockery of humanity. 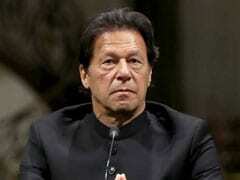 By not returning Mr Jadhav's wife's slippers and asking them to remove their bindi and mangalsutra and changing their clothes as well, it is just another sleazy activity Pakistan has done to a Bharatiya saubhagya nari (married Indian woman)," Krishna Gudipati, local Hindu community leader in USA, was quoted as saying by news agency Press Trust of India. 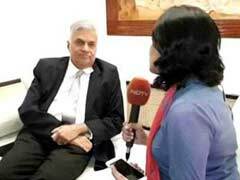 "They have humiliated the religious and faith symbols of Hindu womanhood. This behaviour will lead to Pakistan's own destruction," said the protester Dhananjay Shevilkar. They brought a carton full of shoes to be donated to the Pakistani embassy. Mr Jadhav was sentenced to death by a Pakistani military court for alleged espionage, an accusation that India has dismissed as concocted. 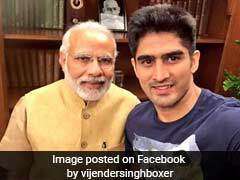 New Delhi says Mr Jadhav was kidnapped in Iran, where he had legitimate business interests, and brought to Pakistan. To save Mr Jadhav, India moved the International Court of Justice, which ordered Pakistan in May to stay his execution.